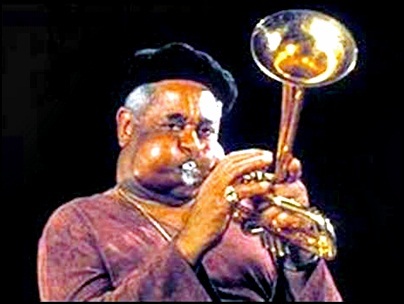 On January 6, 1993, John Birks “Dizzy” Gillespie died aged 75. He was musician, singer, composer and bandleader, trumpet virtuoso and improviser, regarded as one of the greatest jazz trumpeters of all time. Together with Charlie Parker, Gillespie was major figure in the development of bebop and modern jazz. He has recorded and performed with some of the most important musicians in the jazz history, including Charlie Parker, Bud Powell, Charles Mingus, Max Roach, Stan Getz, Sonny Stit,Coleman Hawkins, Sonny Rollins,Benny Golson, Bobby Hackett, Mary Lou Williams, Willie Ruff, Dwike Mitchell, Art Blakey, Al McKibbon, Thelonious Monk, Kai Winding, Joe Turner, Roy Eldridge, Harry “Sweets” Edison, Clark Terry, Oscar Peterson, John Lewis, Hank Jones, Percy Heath, Roy Eldridge, Machito, Benny Carter, Lalo Schifrin, Count Basie, Freddie Hubbard, Arturo Sandoval, Phil Woods, Moe Koffman, United Nation Orchestra, Jackie McLean, Percy Heath, Ron Holloway, Ed Cherry, John Lee, Ignacio Berroa, Duke Ellington, Quincy Jones, Gene Krupa, Buddy Rich, Mike Longo, Manhattan Transfer, Carmen McRae, Katie Bell Nubin, Mongo Santamaria, Woody Shaw, Lillian Terry and Randy Weston. Previous PostIn January 1978.Next PostOn January 6, 2009.